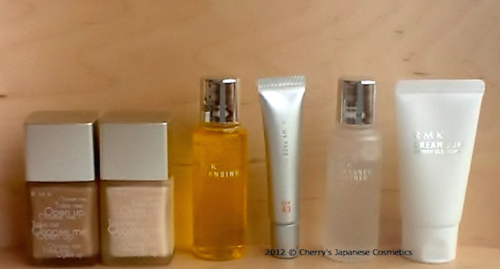 To be a fair reviewer, I (Cherry) change my skin care items one by one. I have already reviewed RMK’s lotion, in this time, I do for RMK’s Creamy Soap S.
This is tube face wash. Make rich foam with few drops of water, and wash.
To be honest, I dislike perfumed cosmetics. And it smells too. In here Japan, most of the perfumes for face wash are kind of flowers, or fruits. But actually I can not find the correct words in any of language to describe for this perfume, but I never say I hate it. The most important point of face wash, it clears my skin very very well. It is Summer in here Japan, my skin is more oiler. I like this product so much. I like stronger face wash in person, it make me feel refresh myself. But I know there are many people who needs moist for their face wash, and for me, when I would use this product in drier season, I would be afraid of rough skin. Young people, guys, and those who has oily skin. Check the latest price, and order from here; “RMK“.